Live Demo Download (1061) Free vs Paid? 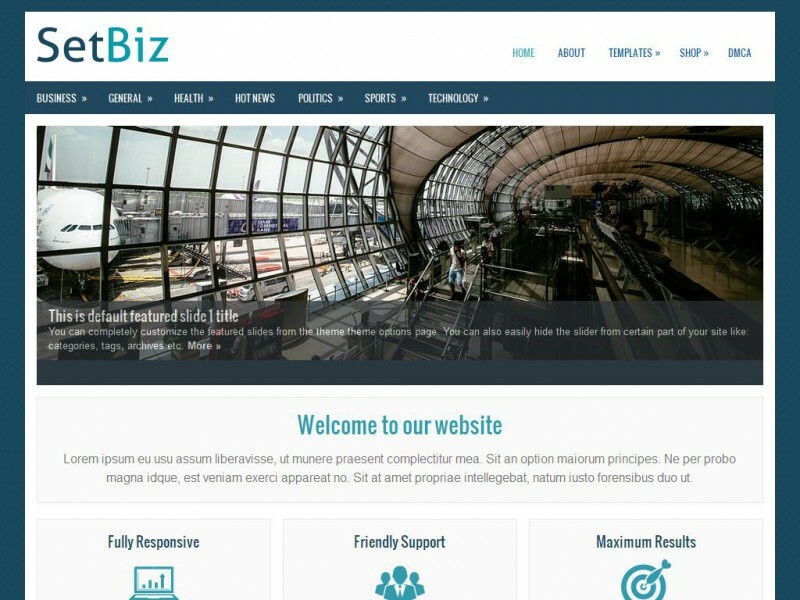 SetBiz utilises the latest technologies in WordPress including custom menus, backgrounds and featured images. This fantastic Business/Portfolio theme boasts easy-to-use admin options and widgets. The theme is also responsive/moble friendly.